Astrology Fashion Feature - Your Star Sign Swimsuit Style! Can astrology influence your Summertime fashion choices? Just check out your star sign swimsuit style suggestions from Star Sign Style! 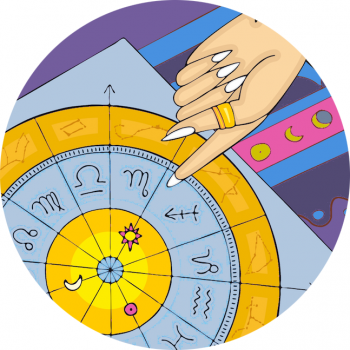 Go-getter Aries has an ardent energy. This lady likes to get out and about come rain or shine and she needs a swimsuit to reflect (and match) her endless enthusiasm and zest for life! Carefree and confident, like the SpecialK lady you’ll suit a bold red one piece (Aries looks Ravishing In Rouge). A style that affords the Ram freedom works well, this zodiac sign can be quite the tomboy. Aries can work neon hues now, with Uranus currently transiting their sign till 2018. Any clashing, flouro colours will tick the box and they look top with a tan! Comfort is key to the Bull and you can be sure this sign will be found luxuriating in some decadent locale this Summer, indulging in all life has to offer. Beauty and grace is paramount so a nod to feminine touches go a long way, think pink and their best pattern, florals. The sign of the Twins, Gemini is dextrous and adaptable, and should dress for maximum movement, this is a free and flighty bird. They’ll want to transition from beach to bar in a moment and keep momentum! Bear in mind this sign is youth obsessed and will need contemporary fun, flirty fashions – she likes to feel young in the sun and is never heavy weather. Moon-ruled Cancerians have a strong affinity to the sea, and you’ll often find the crab on the shore. The zodiac sign associated with nurture and comfort, this sign can draw attention to the chest area, one of their best assets! This sign likes to WOW. Be prepared to see the Lioness shine in some spectacular ensemble, appearing at a well-timed moment pool or beachside, naturally the star of the show! The Maiden delights in decent threads and you can be sure those born under this sign will pick up a well-made design, which is totally on point. Leaders in fashion are born under this constellation (think Karl Lagerfeld, Tom Ford, Stella McCartney) so the Virgo born can be counted on as an understated trendsetter, every season. There is a tendency to keep it practical, yet stylish. The Libra star sign suits super simple, clean lines. Though they’re the sign of indecision, black and white works well on this zodiac sign. Striving for balance it’s an aesemetric cut that wins out too – think of the Grecian goddess and you’re close! Miss Scorpio values her privacy and will want a spot on the shore that sets them apart – and keeps them away from prying eyes. This sign would rather be people watching than on show and they’ll enjoy hiding behind extra large shades. The Scorpio can keep it understated, with touches of dark drama. This sign loves to roam free having adventures, so is most happy in the Summer hopping from place to place, discovering new shores or rocky climbs. Sagittarius is fun and thinks expansively, so the well-worn traveller look suits their style. This sporty sign can carry a high leg swimsuit, as they’ve often got perfect pins! Super stylish, Capricorn will have investment pieces stashed away and will turn up with a beach bag to die for. Her espadrilles will be authentic, quality originals or perhaps she’ll sport leather thong sandals that are a practical buy. Whatever she wears it will look expensive and of the highest quality, and she’ll stay classy through the heat of the day. Off the wall, expect the unexpected from Aqua babes. This is the sign that will breakout outfits totally different to the summer wardrobes you’ve seen before, and every look thrown together surprises and delights. She’s the one with sunglasses picked up from a random friend’s house, years ago, that are totally ahead of the trend. This sign is truly boho, Aquarius born are hippies at heart – they look fab in psychedelic fashions and mind blowing patterns. All the Water babes look sensational by the beach or water and Pisces is the original mermaid of the zodiac. The fish suits a pyjama look and flowing swimwear – in fact all loose clothing is pretty on Pisces, and if she’s not wound up finding the only nudist beach in the area her clothes will at least be floaty enough to fall off at the drop of a trilby. Neptune-ruled, this sign can wear naughtical touches, team stripes and stringy number with a free flowing dressing gown style throw over.